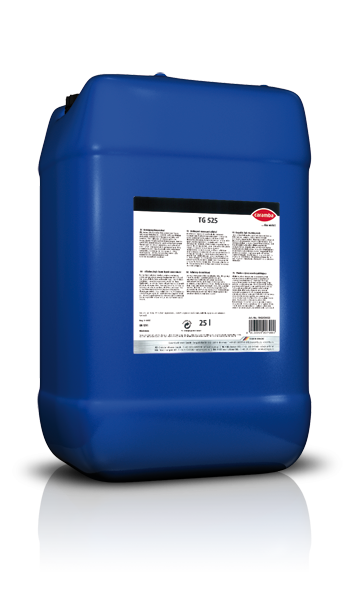 Strongly alkaline while disinfecting adhesive foam cleaner for a residue-free cleaning in food processing operations. 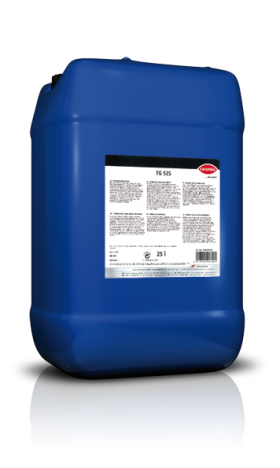 Removes reliably and easily fatty and albuminous residues from containers, production equipment, walls and floors. Remove at first coarse soiling by pre-washing with water. Spray then the product solution on the surfaces to be cleaned using a foaming unit. After the specified reaction time, rinse with drinking water until all cleaner and foam residues have been removed. For cleaning: Use with a concentration of 2% to 5%, reaction time: 10-20 minutes. For disinfection: Use with a concentration of 1% and spray until the surface is well wetted (10 ml per 100 cm²), reaction time: 10 minutes.